If you are in the HR department of your organization, most probably you are looking at long hours and Excel spreadsheets inspite of utilizing your talents to do the most important job you should be doing, i.e. Talent Acquisition! We all know that record filing and maintenance is a lot to keep up with, and it deviates the focus of an organization from things that are really important like, talent retention, employee engagement and skill development. To add to this agony, it could increase the stress levels of your HR team and make them feel stuck in the vicious cycle of their thankless jobs. Unhappy employees means a lagging organization. To help you cope up with this situation, CDN Solutions Group is providing innovative and unique Human Resource Management Solutions (HRMS) at HKTDC ICT EXPO 2017 in Hong Kong at Hong Kong Convention and Exhibition Centre, Hall 3G-F28 from 13th – 16th April, 2017. A demonstration session could be arranged to provide a comprehensive understanding of the system. It basically automates your complete human resource management and allows you time to spend on functions which really matter for the productivity of your organization. 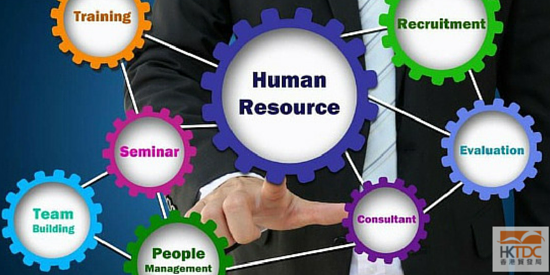 With our custom made HRMS you can automate the complete HR process in your organization resulting in the reduced cost for record keeping and maintenance. It could eventually contribute to the overall growth of the entity. At CDN Solutions Group, we hold your hand not just until the deployment, but after the deployment as well, in the form of 6 months free support service. So why dont you meet us during HKTDC ICT EXPO 2017 event at our stand in Hall 3G-F28 and find amazing solutions that will boost-up your business. If this is something which sounds interesting to you then do contact us here to meet in HKTDC 2017 Hong Kong International ICT EXPO. If you are not attending HKTDC and want our smart solutions, you can also contact us for all your requirements.